How can I install temple run?? 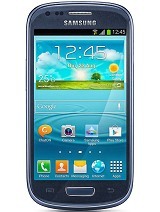 How can I track Samsung Galaxy Ace S5830i. Otherwise it's a great phone. I recommend it very highly. 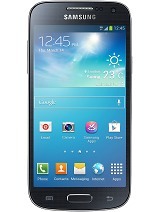 I've read somewhere that this phone doesn't have adreno 200 but the same graphics as galaxy y.. Trying to download apps from google play @ 94% completion of any application it showing 494 error. How to rectify this error? zaz, 02 Jan 2013I bought the phone 2 months ago and I have a Nexus 7 tablet > I use both as required and h... moreCould someone let me know whether this will synchronise with Microsoft packages on my laptop? Bryan, 22 Jan 2013How reset the phone if it locked with pattern locks.? To unlock the pattern lock u've to go though factory reset. By pressing home button, power button and volume button all together u'll get the reboot option. Then by using ur volume button go to factory reset option. Then u'll be able to unlock the pattern lock. understand?I think it's the easiest solution provided by anyone! epicguy117, 01 Jan 2013Good phone. It can be updated to jellybean via a custom rom. May I know how to update this to Jellybean? Please help. My galaxy ace lags in mp4 videos with mx player. Is there any way to play them without to convert them first? How reset the phone if it locked with pattern locks.? use tango app for video calling..
1. It does not have corning gorilla glass. 2. It has andriod 2.3.6. Total of 1042 user reviews and opinions for Samsung Galaxy Ace S5830I.